HylaFAXSender is a simple GUI frontend to send faxes using a HylaFAX server. It is written in Java. This program is free software; you can redistribute it and/or modify it under the terms of the GNU General Public License as published by the Free Software Foundation. 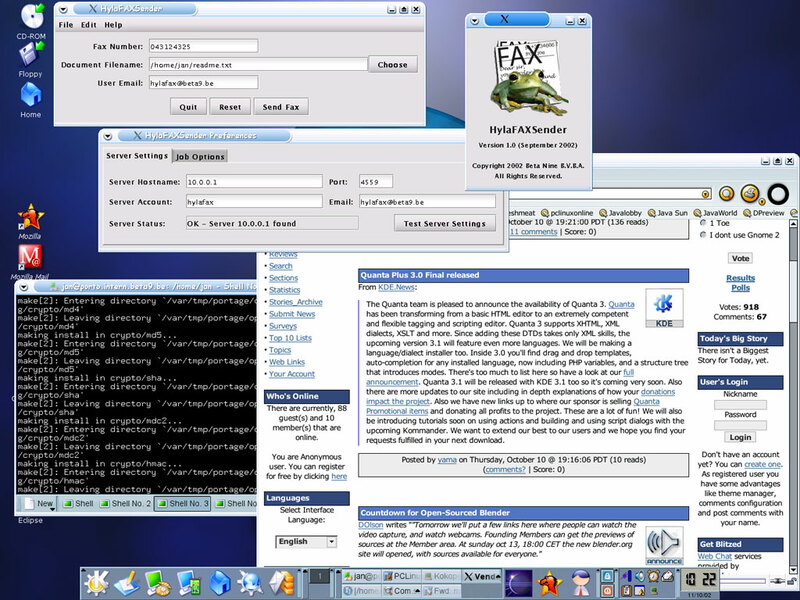 HylaFAXSender uses and includes the GNU HylaFAX Java library. This software was developed to scratch an itch. There are no Java clients for HylaFAX that do their job well. Most of the time they are overkill and not that well designed. HylaFAXSender is designed to send a simple fax job to the HylaFAX server without too much hassle. Basic configuration of the server and jobs are implemented in the preferences panel. You enter a faxnumber, choose a document to fax and click fax - that's all. 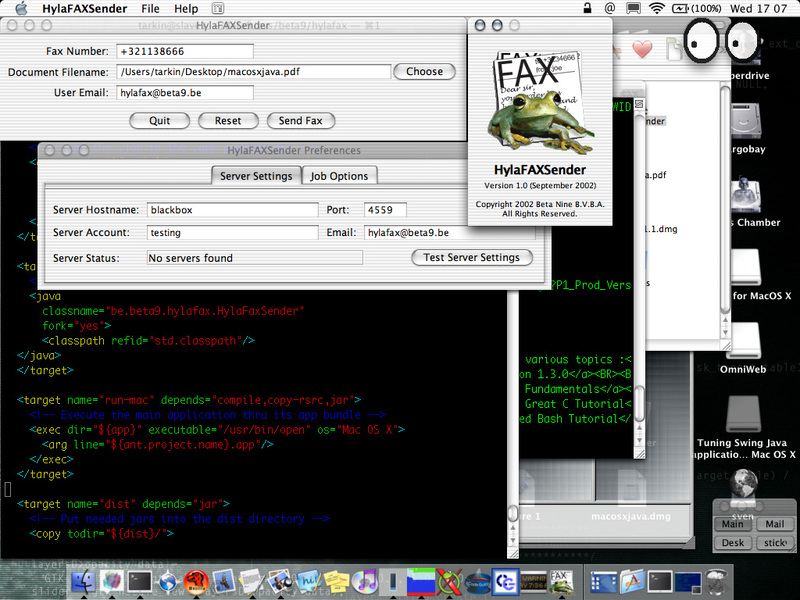 HylaFAXSender has been tested on Mac OS X and Linux. Should work anywhere Java works. We welcome your bug fixes and/or improvements or feature requests. You are free to modify this program as you see fit, provided you do it under the terms of the GPL. Full source tree is available in both the tarball and disk image. We use ant as the default build system (build.xml). 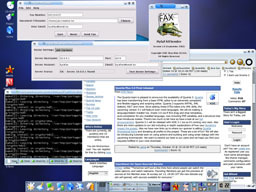 This application is tailored to give an almost native Mac OS X user experience. See http://homepage.mac.com/svc for more info on how this was done.